The corn is well and truly in tassel, and fall is just around the corner, ready to crest the horizon. The evenings grow cooler, but there’s still the tang of summer smoke in the air–all the fire of a season packed with heat and mixed feelings–and it’s time to start thinking of how to make the most of August. Yes, it may be most often called the ‘back-to-school’ season, but we all of us go back to things in Fall. Back to work, back to family routines, back to the marketing strategies we … may … have let languish during the busy summer months. How can we flip the switch and get back to work? You’re not the only one who may need a reminder that change is upon us. Use August as an opportunity to launch a special deal or giveaway. You can frame it as ‘back-to-school savings’ or you can use it as a promo for new or upcoming releases. Think visual. Fall is perhaps the most striking of all (or at the very least, one of the most striking) seasons. Take advantage! Your book is a product, and selling a product is at least half of the time about selling an image. If you haven’t created an Instagram and Pinterest, now is the time! These two social media platforms offer a great way of humanizing your brand and showcasing your product. Fall is a great time to get your networking game on! People may not be thinking about taxes just yet, but you certainly want to get your foot in the door before the holiday craze so that they remember your name and your book come tax time–and come the holidays! Connect the dots between everyone you ‘meet’ on Facebook, Twitter, Instagram, Pinterest, Goodreads, and even LinkedIn and work those contacts and relationships now, while they’re planning out their budget, calendar, and holiday schemes for the school year. And on that note, it’s time to plan your own editorial and marketing calendar–or at least to sketch out the outlines! Is it your hope to write some newsletters, blog posts, or social media updates in the coming months? Do you have some new work on the horizon? Now is the time to schedule not just your writing time or your own holiday marketing plan–it’s time to lay the groundwork for an entire year of editorial works! And these are just a few of my recommendations! As you might expect, there are plenty of chances to enrich your opportunities during the Fall. Don’t put things off–start now! A hint of pumpkin spice is wafting on the rising breeze of Autumn …. There are a number of reasons to do this. 1) The public commitment will help motivate you. When you publicly declare that you will add content to your blog every day, or every week, you are more bound to complete your task. 2) If you choose the right forum, people may offer to help you. (Note, if you choose the wrong forum, and find people are being counter-productive, simply change venues). 3) By creating an Internet presence this early in the process, you can start to generate interest in your book when it comes out—either search engine interest, or human interest. Both are good when it comes time to promote and sell your book later on. You may wish to search Google for some forums in which to participate. You’ll be writing and more and you may make some new friends and/or fans. Then when you are ready to publish your book, consider all of those things we’ve discussed previously in finding the right self-publisher to meet your goals. Summer is almost upon us, and your next book is calling. I don’t know about you, but I love each season, and the variety of seasons, and the changing of seasons. This winter has been a long one, and even now it has a tenuous grip on the Rocky Mountain landscape in which I live; ugly snowbanks still hide where the sun doesn’t shine, and the roads are gritty with salt spread to speed the melting ice. The ground is heaving in my back yard as the moist earth thaws, then buckles. With the thermometer still dropping at night, it’s not yet safe to plant. It feels like forever since I sat outside with a cup of coffee and a book, forever since that first pumpkin spice latte last Fall. But sure as the world turns, we are getting closer. We are officially in Spring, no matter what the thermostat setting, and Summer approaches apace. I, for once, am nowhere near ready for it. For me, Summer means far more frantic planning and balls in the air than it does relaxing days at the beach (what beach? I guess lakes have beaches, too…) or even pleasant woodland strolls, no matter how much I love them. After all, I have a family. And kids have a lot they want to get done in Summer, as do husbands, and the house inevitably falls apart a little bit and requires some maintenance, and the lawn too, and…and…and…. You know how it is. If I want to get something done in the Summer, I really have to lay the groundwork in Spring. If I want to get something done by the Summer, then I really have to start chipping away at it now. Which means, yes, it’s time to break out the manuscript revision process and the marketing calendar, too. If you often feel at a loss, as I do, then it’s always worth investing in something like the Author Marketing Calendar, which lays out what to do each month in order to create a balanced, achievable marketing routine throughout the year. Sometimes it really is nice to take the guesswork out of the equation–although my point about being extra busy in Summer still holds. As Jodee wrote in 2010, one of the most important steps is setting up and grooming an online presence. That’s a good first Spring-cleaning step for us as self-publishing authors. And as someone who works daily with other indie authors, too, I can’t stress the importance of laying out a pattern of behavior now, getting support and accountability from those who can help you reinforce these new habits–like getting up earlier, and writing each morning, undisturbed–and then making this new pattern rock solid and reliable before Summer and its various stresses arrive. We’ll be writing more about how to prepare for Summer as the weeks tick by! Thomas Edison once said, “The three great essentials to achieve anything worthwhile are, first, hard work; second, stick-to-itiveness; third, common sense.” This clear and truthful statement applies to every writer/author no matter what season of life we are in. If you’ve read any of my previous blogs you may remember me writing about Lois Beebe Hayna. This author of poetry, fiction, essay and gardening advice will soon be 102 years young—and she continues to write and publish her poetry. So how do we who are much younger (yes, if you’re 92, you are much younger) encourage ourselves to keep writing? 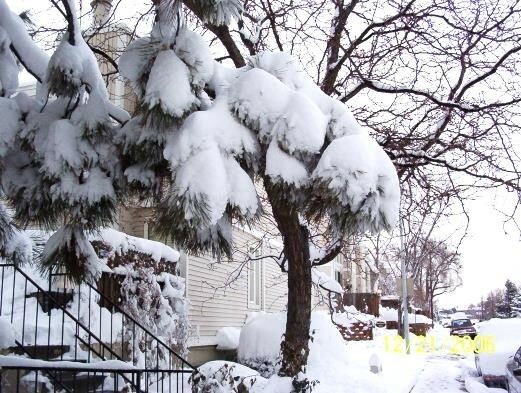 How do we avoid looking at the winter season of our lives and write for all seasons? Here are a few quotes I’ve saved to encourage myself. I hope they will encourage you, too. When my characters are arguing with me (the writer), this statement brings them in line. The many layers of meaning within these thoughts continue to help me create authentic characters. Plus, Lewis’ life-journey and his “collection of author-friends” is an example for all authors to consider. These statements give me even deeper insights into the creation of characters and the circumstances that can be written for them—the corners to back them into. Whether our writing environment provides us with the blessing of looking out upon nature’s changing seasons or we have set up a laptop on the laundry basket next to the basement washer and dryer, we can always imagine the seasons of setting, plot, and the lives of each individual character. I must confess that my writing space looks nothing like this beautiful illustration. It is often cluttered beyond my ability to deal with the stacks and I am forced to take-a-day and reorganize it, much to my husband’s delight. You see, he shares one side of the narrow desk in our 10×10 office and tries to demonstrate organization by keeping his side “neat” with everything in its place. However, until I discover a way to keep each of my on-going projects within easy reach (not in closet filing cabinet), my stacking system will remain. I’m one of “those” writers who allows my imagination free reign giving me the opportunity to jump from one project to another at any time of the day. When something I’m researching and/or critiquing triggers a thought relating to another project, I immediately place that piece (concept, website source, person-to-contact) with the appropriate stack. 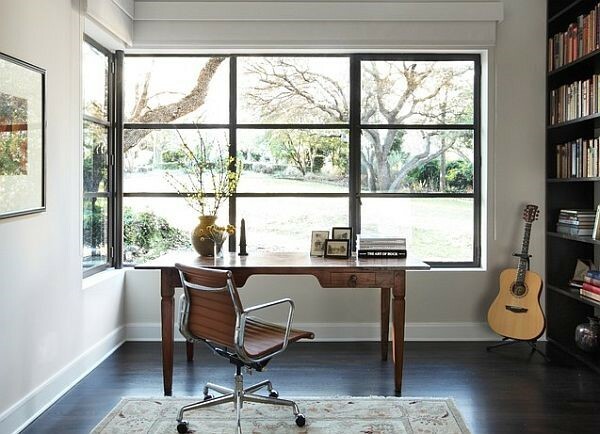 THERE ARE, however, as many writing space concepts as there are writers. Following are a few that I’ve discovered are helpful to my author friends. BABY BOTTLE READINESS. This space is nestled next to the rocking chair and the crib in the new baby’s corner of the family room. Whether the author is Mom or Dad, when it is their time for baby-watch, they have acknowledged that their creative ideas rarely pause during those specific hours. The “desk” can be an actual writing desk or a TV tray just as long as it provides space for pen, paper, laptop and/or tape recorder. DINING ROOM/KITCHEN TABLE. One of my best friends wrote her plays while seated at her long, rustic-style family table. This space was actually added to the kitchen and designed with windows on three sides. Her view—throughout each season of the year—was of a mountain meadow, aspen and fir trees and the occasional white-tail deer family. She kept her developing projects in a box (emptied of paper reams) and cleared the table every day. PET PARTNERS. Sometime soon, I suggest you do a Google search of Authors and their pets. It will make you smile! There are stories told about John Steinbeck and his standard poodle, Charley. Ernest Hemingway was a great fan of cats and “owned” several—or, rather, they owned And then there is my cat, Sadie, a tabby lady who has shared my writing days from her cushion these past eighteen years. The presence of these critters in our lives can bring about just the right amount of pause and reflection we writers need in order to grab hold of the next complete sentence and/or thought. THE RETREAT or HAVEN. 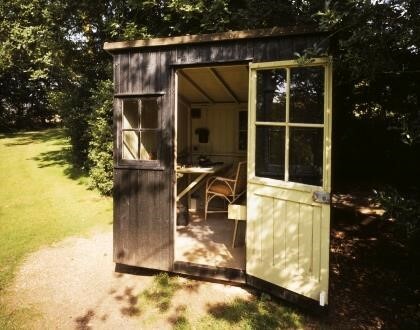 George Bernard Shaw built is own very private retreat, converting a tool shed into his writing space. It worked for him. However there are other get-away locations that might serve your needs. Again, do a Google search of “writing retreats.” You’ll find luxurious places in castle towers or tack-rooms in big red barns converted for the writer who enjoys the scent of horse and cattle for their inspiration. November brings our attention to how quickly this year will come to a close and we’ll meet the New Year whether we’re prepared for it or not. The self-examination questions begin. Have you finished the last chapter of that novel yet? Have you outlined the sequel? Have you written your weekly blog to tweak readers’ interest in the characters and plot? Did you do enough research so that characters and their environment (setting-s) are believable? Did you select the right independent publisher? Is your best friend really the right person to do your marketing? OR…are you sitting on your front porch watching neighbors collect the remaining Fall leaves and wondering if you should even begin that novel—that novella—that book of poetry—that collection of family recipes—that family legacy memoir? NO MATTER what day of calendar year the decision is made to begin writing one or more of those projects, the seasons of creative development are the same. SPRING. The ideas are fresh, flowing and fun. Your imagination holds every detail in high-definition clarity and the words begin rolling onto the pages. SUMMER. Mornings bring bright new ideas, fresh-scented environments and intriguing dialogue for characters. The plot weaves together like intricate palm-leaf shade-hats casting shadows of intrigue and mystery or building your unique style of word-play. WINTER. With snow falling and windows redesigned with ice-crystal art, the first draft is completed. The weather may hold us inside, yet now the manuscript reading Edits and additions, enhancements and deletions are made and the writer’s personal satisfaction grows. FALL. As the leaves color themselves with reds and purples, gold, yellows and rusty crimson, that process of release is mirrored in the pages that fall to the floor and await a new story to be developed around them—the ideas held there already rooted and rich for nurturing—tomorrow.